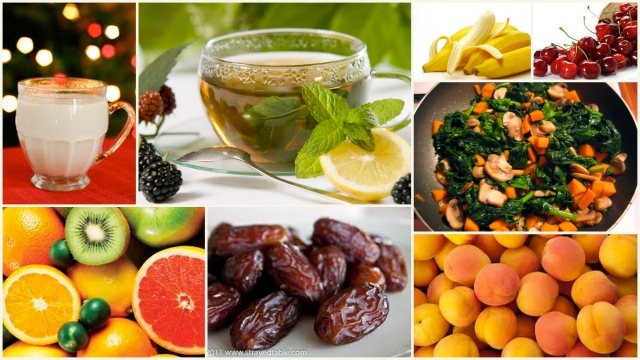 Ayurvedic way of eating, the best way forward? ‘Ayurvedic eating is good for you, Satwik khana is excellent for your body‘…heard my grandmother say this often, when I was growing up, but of course, it didn’t seem important at the time…However, as I have grown older, the need and the desire to be healthy, suddenly has come to the forefront…So, here I am, summarising all my reading on this topic. Get reading, get healthy! Ayurveda is based on the principles of three doshas. Doshas are the energies that make up every individual, which perform different physiological functions in the body. The 3 Dosha types are Vata Dosha (Energy that controls bodily functions associated with motion), Pitta Dosha (Energy that controls the body’s metabolic systems) and Kapha Dosha (energy that controls growth in the body and supplies water to all body parts). Each person has all three Doshas, but usually one or two dominate. Various Dosha proportions determine one’s physiological and personality traits, as well as general likes and dislikes. To get healthy, you have to eat the correct foods in the correct sequence…it’s that easy. 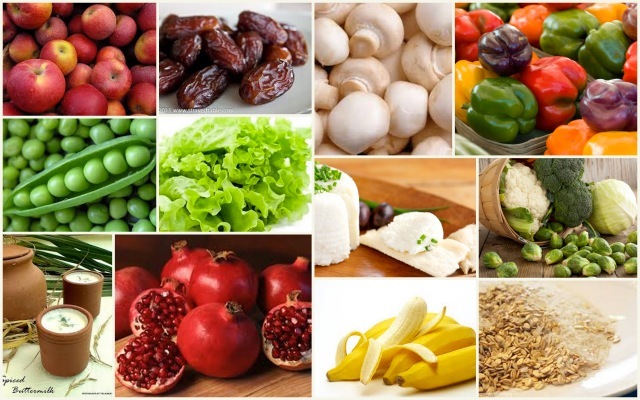 Now, lets understand the methods available to find the best foods for you. 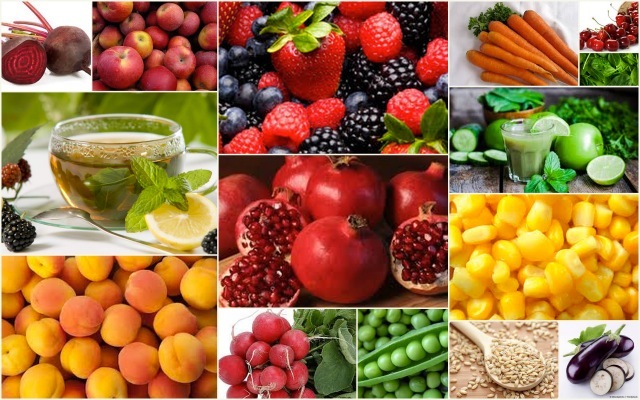 Food is considered to be balanced and healthy if it has a good combination of the six Ayurvedic tastes, is tailored to the consumer’s body constitution, and is easily digestible across all age groups. Rasa (also called taste) – is one of the most critical factors in Ayurvedic cooking. Before we read any further, remember, a good point to remember is: Your doshas can get imbalanced if you allow one rasa to dominate your meal, exclude one totally, or consume them in the wrong combination. So, balancing tastes is imperative. Does this make sense? There are several diets available for healthy eating but the best news is that the Indian Thali is regarded as one of the finest examples of a meal balanced in all tastes. Made up of rice, dal, vegetables, roti, salad, yoghurt, small amounts of chutney or pickle, and a sweet dish to top it off. The Thali contains all the six tastes in the right combination. When you take your meal, try to follow the right order of eating to make the most of the benefits offered by each rasa. Read here for more information on the correct sequence of eating! 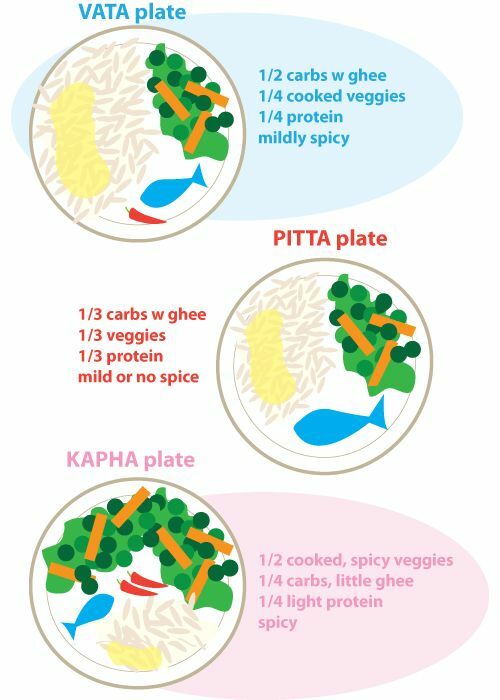 You now have a basic understanding of your Dosha and Rasa (tastes in your meal). Before we go any further, take a break for a few minutes and identify your body type to find out your correct Dosha. Click here (for a pdf version from Anjum Anand, a UK-based chef who propagates Ayurvedic eating) or here for an online test, and get ready to be enlightened! Step 3: Remember, to enjoy what you eat, include moderate exercise in your daily routine and above all, relax at all times! You feeling good already? That was the idea. Here is to happy, healthy lives!